It’s been a game of catch up since the grow out contest, and with jet-lag working against me it’s been quite a challenge to reach the finish line. At the moment, I am currently in Dallas just a few hours away from the commencement of judging and I figured it’s now or never! 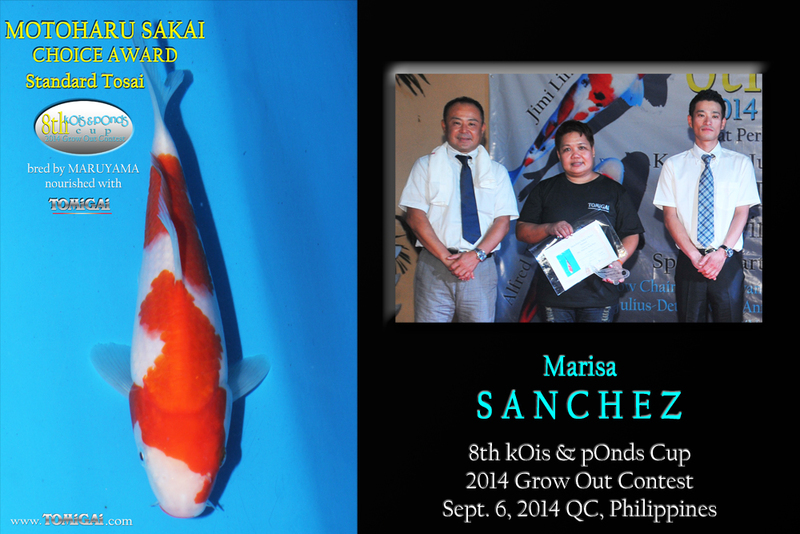 This year’s grow out contest had two divisions: Standard Tosai and Jumbo Tosai grow out Koi. We had a several hobbyists whose first time it was to show, and I know for a fact that the actual experience of a show is a lot more exciting and enjoyable that it sounds. 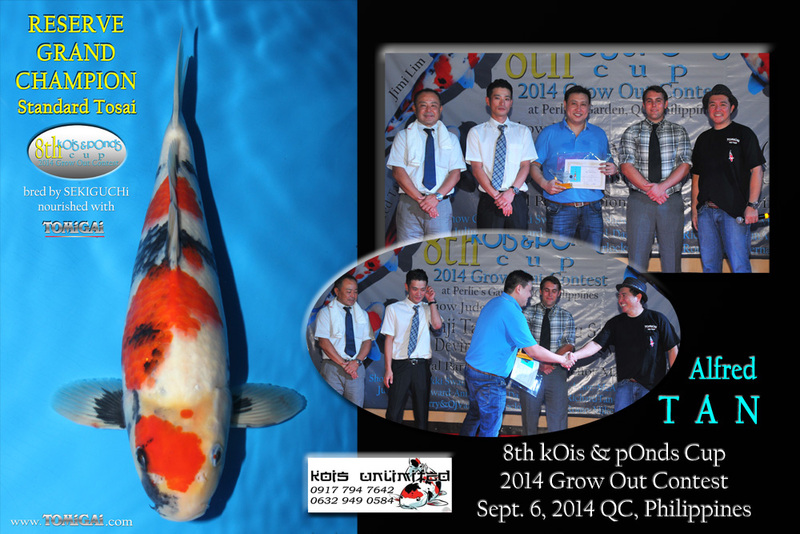 A grow out contest is always a good place to dip your feet into when entering the wonderful world of showing Koi because there is a smaller pool of Koi to select from when deciding which fish to bring and there is also a definite time line to achieve your goals. I love grow out shows because it brings back to me the nouveau feeling of and anticipation and anxiety coupled with the surprising amount of yearning for more at the end of the event. As with any show, none of it would be possible without the help and support of some very special people. Firstly I would like to thank the hobbyists who participated in our event, especially to Mr. Nelson Castro and his lovely fiancee Ms. Maureen Gepte, Mr. Eric Leonardo, Mr. Gerry Czar, Mr. Jimi Lim and his brother Ami Lim, Mr. James Ngan, Mr. Ricky Reyes, Mr. Jun Sunga, Mr. Lincoln Yu, Mr. Alfred Tan and Mr. Jason Syjueco. 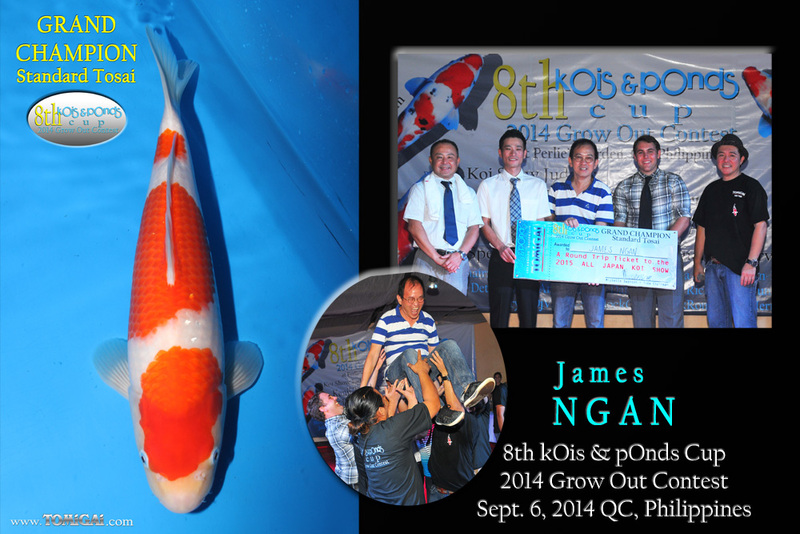 You are the motivation and driving force behind each and every Koi show that Kois & Ponds puts up and we are so grateful to you for sharing your passion with us. Secondly, I would like to thank all the volunteers who so generously shared their time, efforts and resources to us. 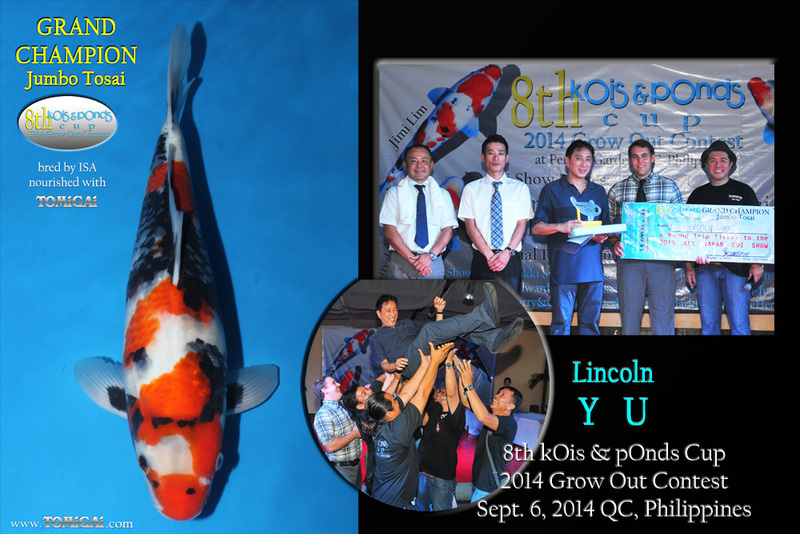 Big shout out goes to Richard Tan of Chang Koi, Jun Abucay of Cagayan De Oro, Larry and OJ Valera from Kois Unlimited, Daniel Villoria from Aqua Terra, Sherlock Chan from Absolutely Koi Lifestyle, Armiel De Torres, Councillor Marvin Rillo and Ninong Dennis Sytin for the continuous support to our event. 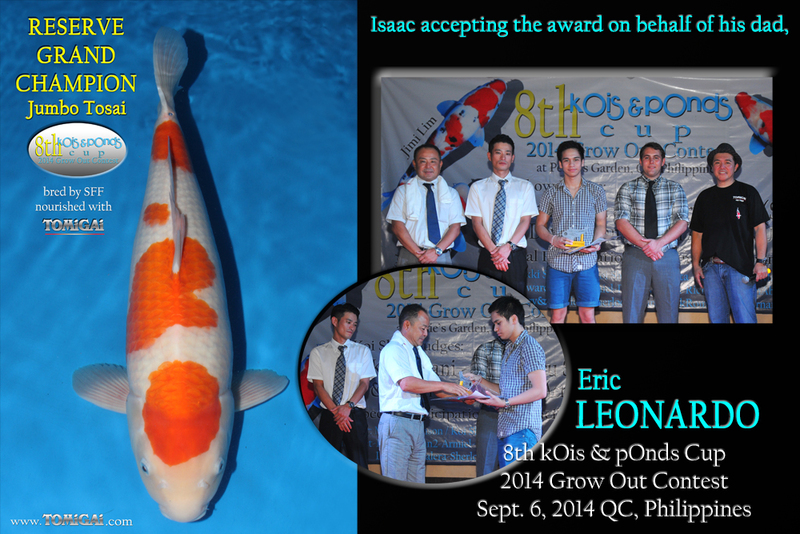 Additionally, I would like to also thank our judges: my Nihon-Papa Kenji Tani, the super-cool Motoharu Sakai and my wonderful husband Devin Swanson for sharing their knowledge and expertise on Koi with us both during the show and for the Judging exercise event we had the following day. And finally, I would like to send a big thank our Kois & Ponds Show Team for going above and beyond the call of duty to bring a new meaning to the word professionalism: Tita Amor, Me-Anne, Marissa, Rene, Nonoy, Det-Det, Julius, Ana, Anne, Edward, Chris, Toto, Dexter, Tita Ellen and Tito Lambert. There aren’t enough words to express how much we appreciate all you do for us and we are so grateful to be able to share this Koi experience with everyone. For a complete list of winners, please click here to go to our Media Page. The sun is rising and I do need to get a move on if I want to make it to the Dallas Show site ontime, so please stay tuned for my next post coming hopefully sooner rather than later! (lol)….